Have you tried these Amazing Meals from Box 8 yet?? 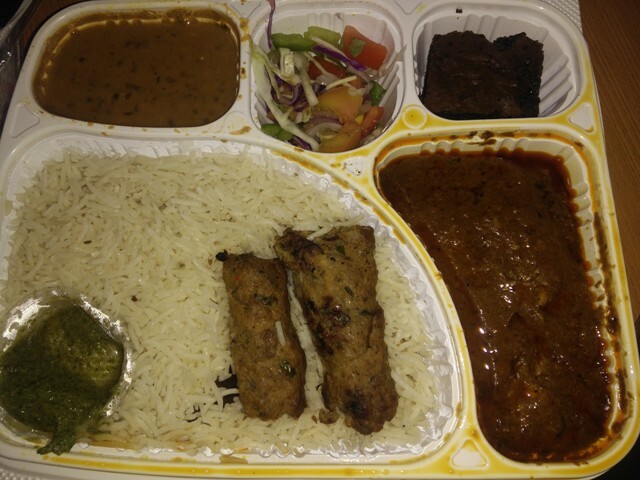 Box 8 is a made in India food delivery chain of sumptuous Indian meals. Box 8 was founded by Anshul Gupta & Amit Raj in 2012. Both being from an IIT background, started their Mexican QSR Poncho in 2011 which was later changed to Box 8 in 2012 with the addition of Indian Meals. Their focus lies in preparing delicious food using the finest ingredients that are easy on your stomach. As listed above they serve everything right from Sandwiches to Full Meals i.e. their BOX. 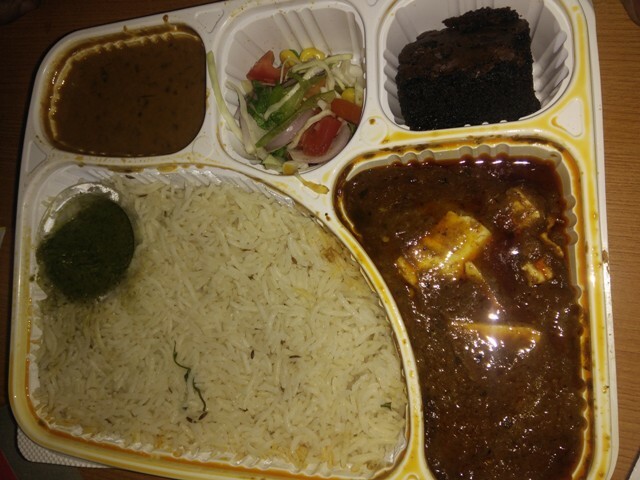 The box offers fusion of different Indian delicacies like Dal, Paneer, Rice along with Mint Chutney, Salad etc. Every Meal comes with the Main Curry, along with Rice, Dal and other items. 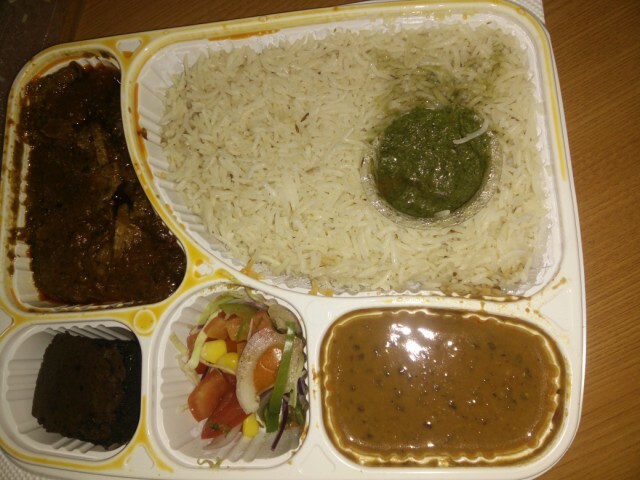 There’s an option of Rice or Paratha & Chole Gravy or Dal Makhani in the meals. I opted for Rice and Dal Makhani in all the meals. The meal comes with a small portion of salad & dessert. My meal had brownie, but this can change according to availability. The Green Chutney is mind blowing and should be served more in quantity. I felt this is the best of all Veg Meals in their menu. Simple and tasty is their mantra here. The taste of the gravy is more like delhi style Chole. The Meal comes with 2 Veg Tikkis which are awesome. Really enjoyed it. This meal comes with Melt in mouth Malai paneer with spicy curry. The curry was a bit thick. The amount of garam masala used here is prominent. This could be made better. Overall, this meal can be tried. For those paneer lovers whose day cannot start or end without paneer, this meal is a delight for them. As the name suggests, the Bhuna chicken is a dish made of succulent chicken kebabs in spicy curry. This is the best gravy in all the meals. Do try this if you love Bhuna chicken. As the name suggests, this meal is definitely made for a King. Desi style chicken cooked in spicy curry. You can taste the smoky flavor in the curry. The meal comes with 2 seekh kababs which are medium spicy and nicely grilled. Definitely order this one. The meal is a Chicken Lovers dream. The Specialty of these is they make Whole Wheat Wraps & use Multigrain Bread. They have thought of Health as well along with Taste. Crunchy on the edges and with a soft center, this wrap is filled to it maximum capacity. With Every bite you have something or other coming out of the wrap. 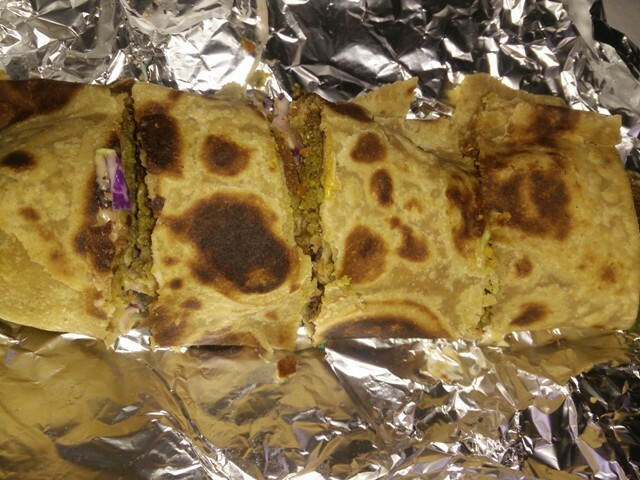 The wrap is filled with veggies and Chicken Tikka along with special sauces. This is a Box8 special Wrap. Must try!! Multigrain Bread is what they use, which makes me order it frequently. The sandwich tastes good even after an hour of making it. The filling i.e veggies n sauce is very much same as that of chicken tikka, but the chicken used is a bit different. Must try!! 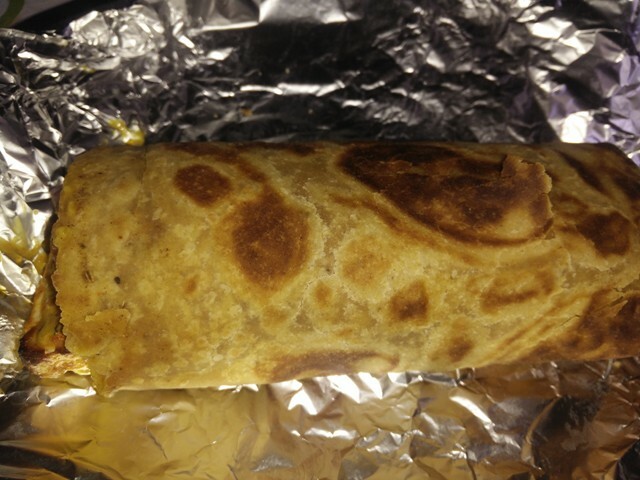 The wrap is filled with marinated Cubes of Paneer grilled to perfection. Just as you get in Paneer Tikka (starter), the wrap also has capsicum & tomato cubes grilled. The sauce used is amazing. The brownies are fresh and chocolaty. I would recommend everyone to pass it through your microwave for 20-30 secs and see the magic. You would love how they taste when hot. 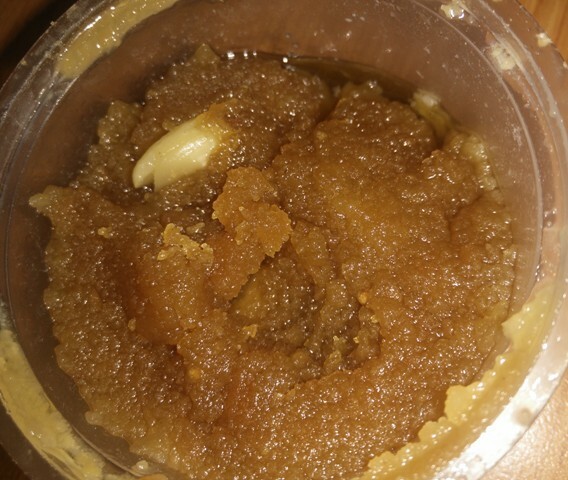 Rich and creamy, the moong dal halwa is decent in taste. The sugar content is in control which is a big plus. 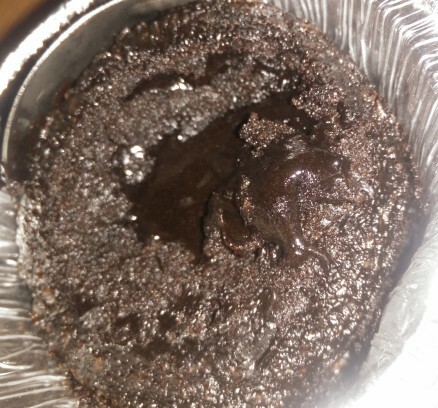 Their Choco Lave cake can be made better. This comes in a bowl made of Aluminium foil. The taste is good if not great. Try it out. Box 8 also provides customer with great offers like Buy 1 Get 1, and different discounts from time to time. Do give them a try. The most asked for question today is #Aajkhanemekyahai. Faasos tend to solve this question with their variety dishes that will make you crave for more. 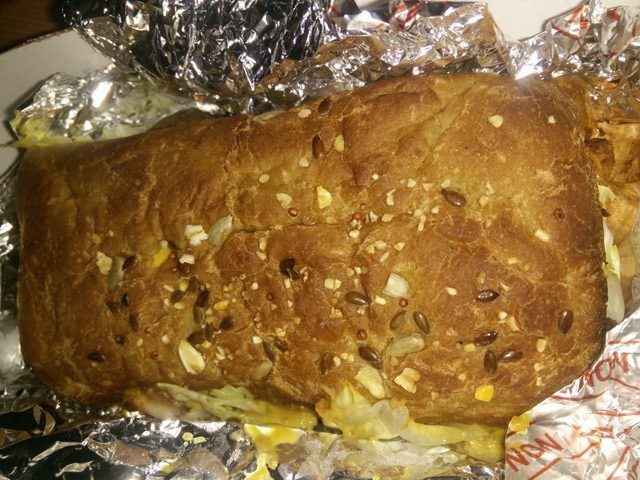 Faasos guarantees that tasty food is delivered to you within the minutes. Faasos was founded by Jaydeep Barman and Kallol Banerjee in 2011. Faasos delivers food in 15 major cities namely; Mumbai, Pune, Indore, Nagpur, Bhopal, Chennai, Hyderabad, Gurgaon, Noida, Ahmedabad, Vadodara, Ghaziabad, Bengaluru & New Delhi. Faasos offers Wraps, Rice Feasts, Biryanis, Meals, Quick Meals, Salads, A La Carte, Drinks & Desserts. Every product is cooked in refined Oil ensuring customer’s good health. They use fresh veggies and meat products in their dishes. Ordered this Jumbo wrap as I was craving for some wraps finger licking goodness. The wrap is filled with chatpate chole and soft masala Paneer topped with mint mayo. The mint mayo is generously poured over the veggies which oozes out on every bite. The combination is a hit and my first time where I have ever enjoyed a Veg Wrap. Cottage cheese seasoned with select spices and topped with beautiful, gooey cheese. This wrap is every cheese lovers dream. Do try this one and you would definitely compare the amount of cheese here to a cheese burst pizza. Every bite is cheesy and filled with amazing flavors. Along with mouth watering Food, Faasos also offers Loyalty Program named Faasos Elite which gives great discounts to regular customer. Do try out their food and enroll in their loyalty program. Faasos is currently operating at 3 places in Navi Mumbai namely; Kopar Khairane, Nerul & Seawoods. Order their delicious wraps and meals here. Tunga Regenza, a 3 star hotel in Vashi, Navi Mumbai offers 3 restaurants, Something’s Fishy (Seafood), Cafe Vihar (Pure Veg) and One Too Many (Lounge). I have been to Somethings Fishy previously for Buffet, but this time went in for A La Carte. 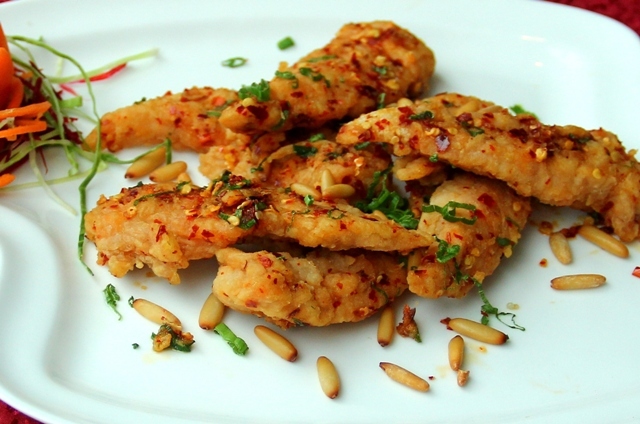 They are famous for Seafood in entire Navi Mumbai but they also offer some great delicacies in Chicken and Veg. Something’s Fishy is recently renovated in June. With this new ambience, it provides you with a fresh look and feel when you enter. 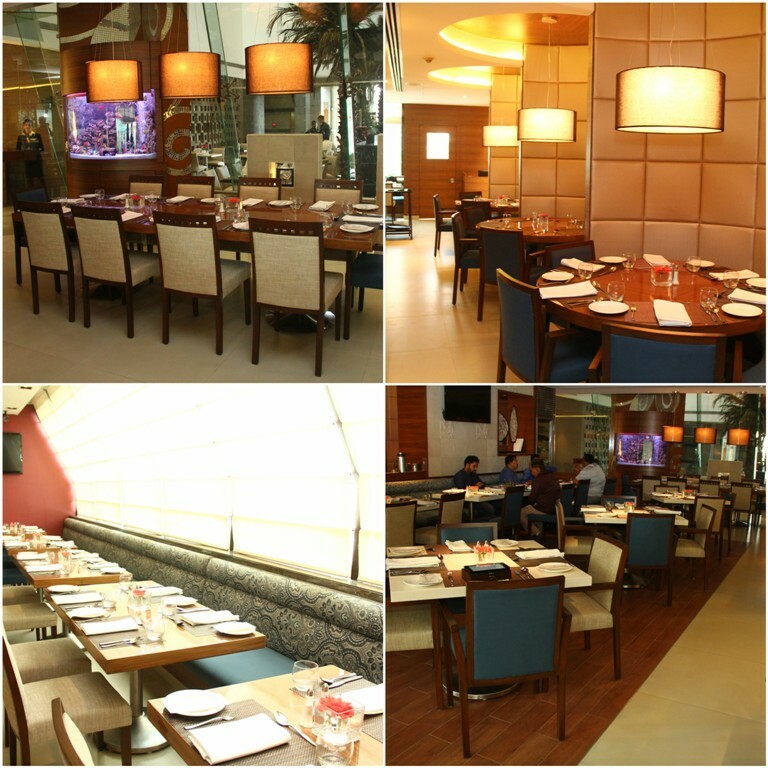 The seating is very comfortable and an ideal place for a family lunch/dinner to celebrate a occasion or a friends get-together. The service is spot on. Before you could finish your dish, the staff is at your disposal to take your next order, which is amazing. The staff is very friendly and will recommend you their best dishes. The most important thing that you think of when you come to a Restaurant. 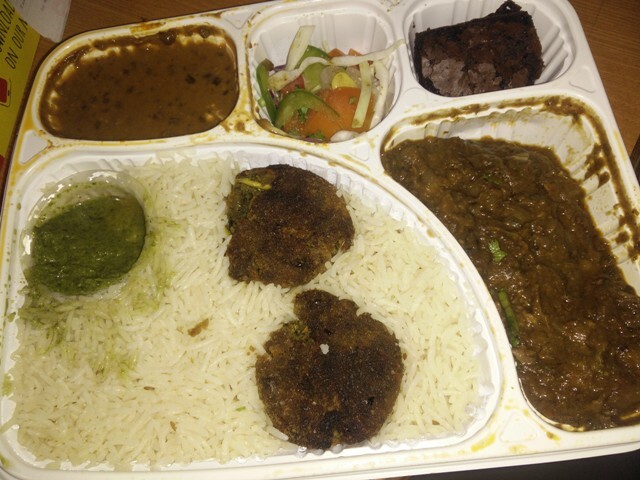 Ordered a variety of dishes in Vegetarian as well as Non-Veg. The presentation, the plating was spot on. Lets take a look at it. 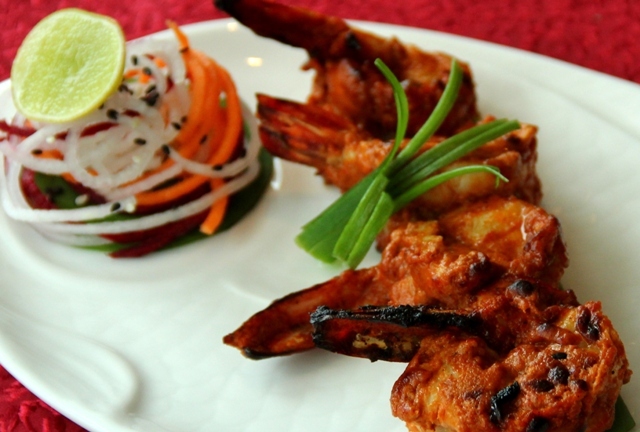 A Speciality from Amritsar, the Prawns are grilled to perfection, and as fresh as they were just picked out from the sea. The prawns were marinated in grounded spices and cooked over coal and tangy. The prawns were served with onion and carrot strips with a slice of lemon on top. They were finger licking and the best dish in the starters’ lot. The veg counterpart of the Prawns. 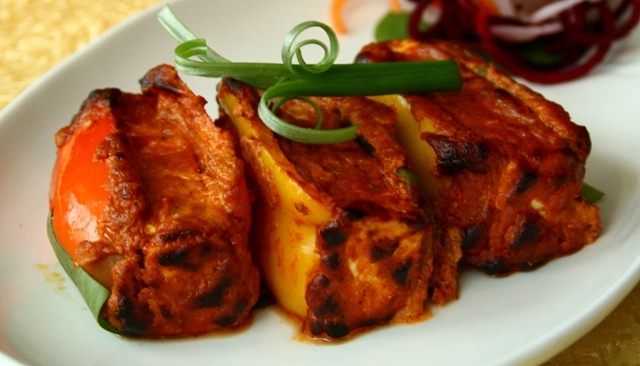 The Bhatti ka Paneer is again cooked over glowing embers, and is fresh and nicely marinated in the spices. I must say that the Paneer had soaked the marination nicely as compared to the Prawns. A good dish with soft and spicy Paneer and veggies nicely grilled. A perfect start for my veggie friends. This was a Chinese dish. The chicken was fried and sauteed nicely with spices and Wild Pepper. 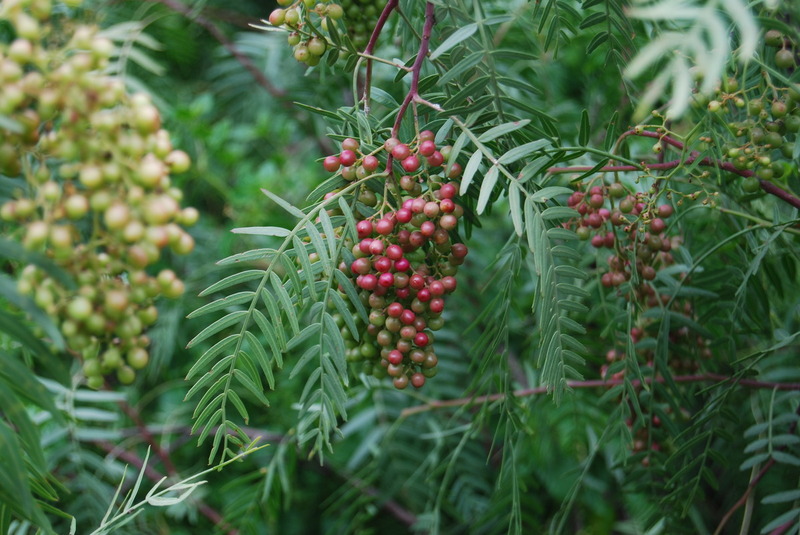 Wild pepper also called as Red Pepper is not used in cooking as much as Black or White Pepper. The chicken had a nicely zing with this Red Pepper. The dish was finished with a generous sprinkle of Pine Nuts. Our Veggie lovers got excited and ordered a Pasta to compete with our delicious chicken. The Pasta came out piping hot with a nice aroma which made us nonveggies reach our fork and start gobbling it as it looked very tempting. The pasta was a continental dish made with Penne in tomato sauce along with eggplants, basil and topped with Mozzarella cheese. This is a North Indian Main Course a bit on the sweeter side. The dish is made with fresh cream, Turmeric and vegetables like cherry tomatoes, french beans, carrots, mint leaves, etc. The turmeric gave a nice colour to the dish and the cream made it rich. The spices were on the lower side and the dish had the more intense turmeric flavor which was really good as I never had such a dish in my life. The dish went well with Butter Chapatis. The best of the chicken dishes. A bit different than the regular Murgh Kalimiri (Chicken in Black Pepper) which you can get in every other restaurant. 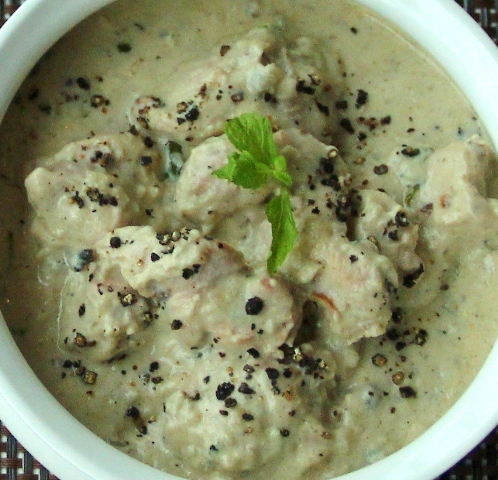 The chicken was made in cashew paste and some spices and generously topped with crushed black pepper. The chicken pieces were soft and had soaked the cashew gravy nicely. The crushed pepper gave a burst of flavor to the dish. 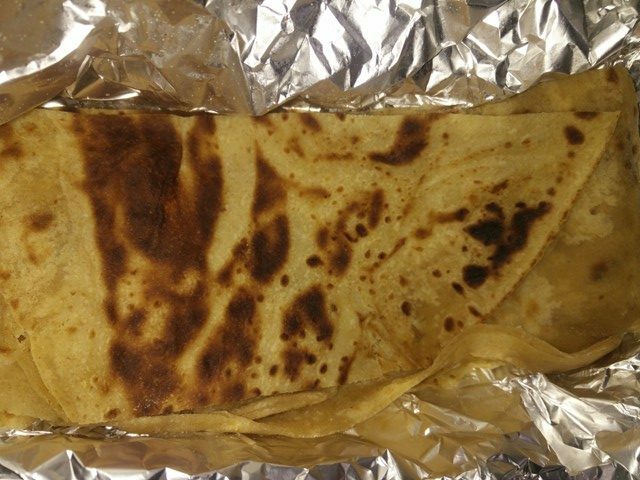 Again hot Butter Chapatis are the best option with this dish. If you crave for seafood, Something’s Fishy – Regenza by Tunga Hotels is the place to visit as they have a wide range of seafood both in Buffet as well as A La Carte.